It was one of the most widely known medicines in ancient history, and records of its use include Assyrian tablets of around 2000 BC and Chinese herbals of the same period. Theophrastos of Lesbos, writing in the fourth century BC wrote that 'it has the property of quenching thirst if one holds it in the mouth'. Dioscorides gave the plant its botanical name (Greek glukos = sweet, riza = root). Its 13th century English name was Lycorys, a corruption of glycyrrhiza.. Liquorice (Glycyrrhiza glabra) has long been used for both culinary and medical purposes. Used for flavoring and sweetening candies and medical remedies, licorice also has potent effects of its own, particularly for ulcers and adrenal insufficiencies. Whole. It is also used for asthmatic coughs, as an antispasmodic and ulcer remedy, and to cool 'hot' conditions. The roots are unearthed in the autumn of the fourth season. It is grown in India, Spain, Iran, Russia, China & Italy. 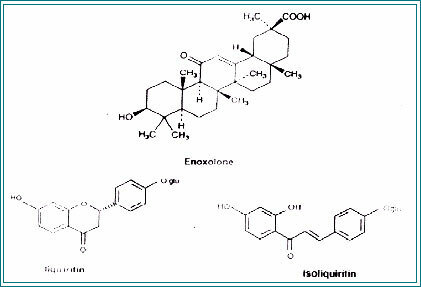 The herb contains glycyrrhizin, glycyrrhetinic acid, flavonoids, asparagine, iso-flavonoids,and chalcones. Licorice contains the glycoside, glycyrrhizin which has a similar structure and activity as the adrenal steroids. Licorice has an anti-inflammatory activity similar to cortisone and has been found useful for arthritis and allergies. In addition licorice has been used for mild Addison’s disease and other adrenal insufficiencies, such as hypoglycemia. Licorice also acts like the hormone, ACTH, causing sodium retention, potassium depletion, and water retention. Excess consumption of licorice can lead to the classic symptoms of hypertension, with edema, increased blood pressure, potassium loss, and muscular weakness. The Deglycyrrhizinated form is most often used to avoid the hypertensive side effects of the glycyrrhetinic acid in whole Licorice. Licorice and DGL have a mild laxative effect and can protect the intestinal lining by increasing the production of mucus, thus alleviating heartburn and ulcers. Licorice and DGL also have a demulcent action and have been used for coughs and other bronchial complaints. 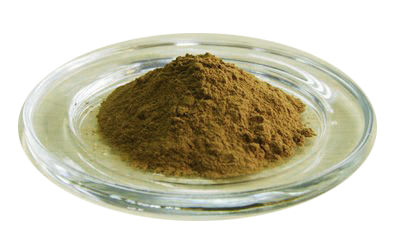 Glycyrrhiza is widely used in bronchial problems such as catarrh, bronchitis, cold, flu and coughs. It reduces irritation of the throat and yet has an expectorant action. It produces its demulcent and expectorant effects. It is used in relieving stress. 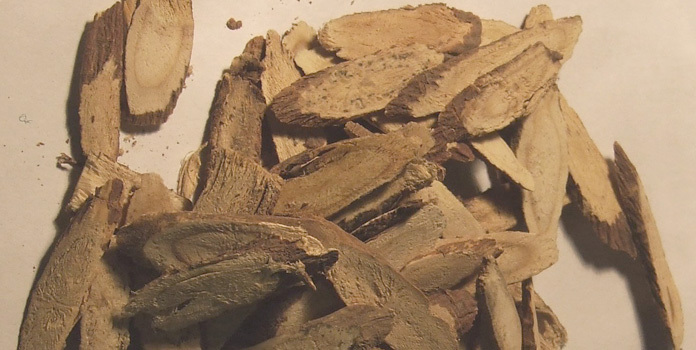 It is a potent healing agent for tuberculosis, where its effects have been compared to hydrocortisone. 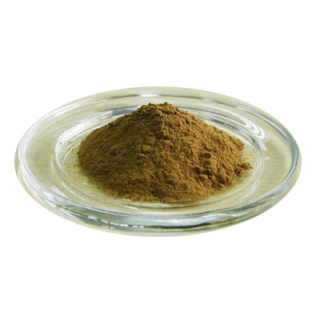 Glycyrrhiza is also effective in helping to reduce fevers (glycyrretinic acid has an effect like aspirin), and it may have an antibacterial action as well. Its use in the treatment of chronic inflammations such as arthritis and rheumatic diseases, Anti-inflammatory, chronic skin conditions, and autoimmune diseases in general.